We design and fabricate props for motion pictures and television. We created this 12 ft tall replica of the “Guardian of Forever” time portal. 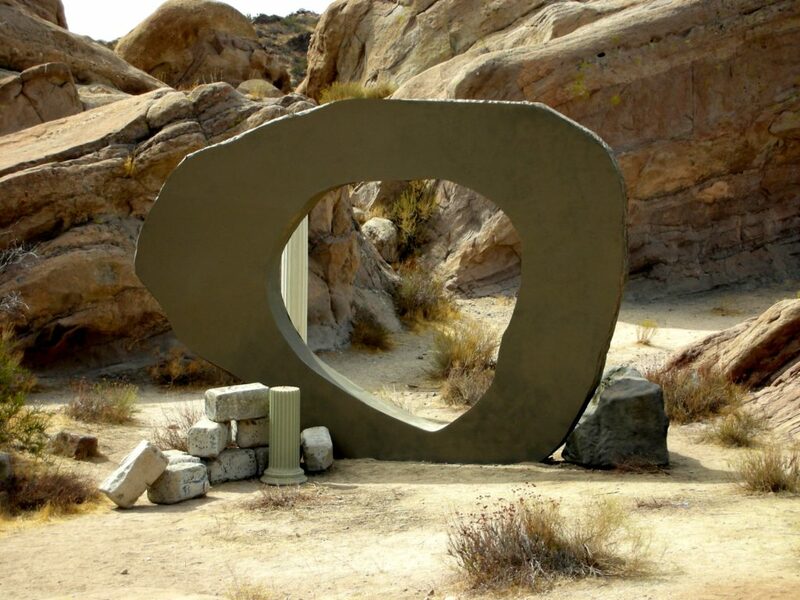 The prop was inspired by the hit television show, Star Trek® episode: “The City on the Edge of Forever.” The prop was transported to Vasquez Rock Park in Los Angeles where it was filmed on location and used during shooting of “Star Trek:Of Gods and Men.” A talking time portal effect was created with a digital overlay. Walt Disney Pictures commissioned us to create a replica of the ice crown worn by the White Witch in the film The Chronicles of Narnia: The Lion, the Witch and the Wardrobe™. The crown replica was worn by a model who appeared at the preview of Narnia at Walt Disney Studios. A pre-party raised money for those with food allergies and increased the awareness about anaphylaxis. Tim Vittetoe fabricated the replica based on Narnia production stills, and did the beauty makeup for the event.